Come and take a brief look at what we do here. See if you're interested in RPing here. 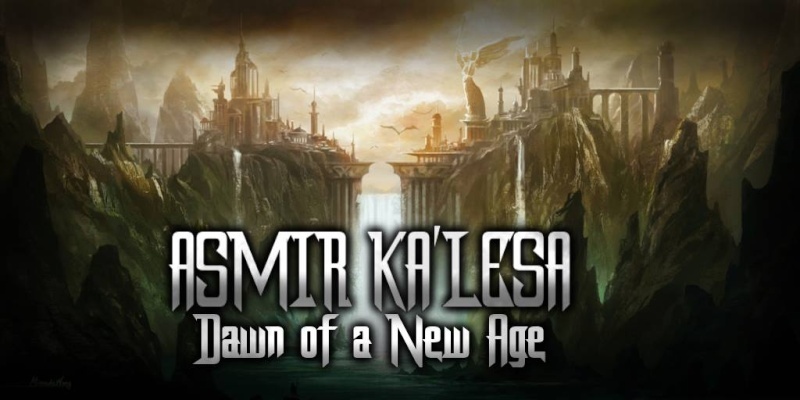 Find out what the story is with Asmir Ka'lesa. Read about the events that have taken place up to the current time. Delve into the history of the World! This is where all information relative to the world of Asmir Ka'lesa is stored. Here you'll find things information on the flora and fauna of Asmir Ka'lesa, as well as the various lesser races and deadly animals that roam the lands. Come here for information on the main factions of the world, such as their homelands, members and enemies. You can also apply to join one of the factions from here.